In 1930s Munich, danger lurks behind dark corners, and secrets are buried deep within the city. 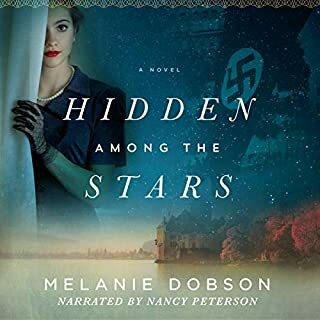 But Gretchen Müller, who grew up in the National Socialist Party under the wing of her uncle Dolf, has been shielded from that side of society ever since her father traded his life for Dolf's, and Gretchen is his favorite, his pet. As Gretchen investigates the very people she's always considered friends, she must decide where her loyalties lie. 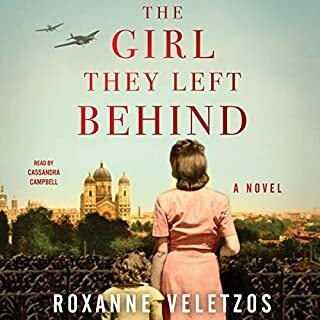 Will she choose the safety of her former life as a Nazi darling, or will she dare to dig up the truth - even if it could get her and Daniel killed? From debut author Anne Blankman comes this harrowing and evocative story about an ordinary girl faced with the extraordinary decision to give up everything she's ever believed…and to trust her own heart instead. read it again and again and never forget the history and events that transpired in our world. A young girl discovers that she’s in the midst of the inner circle of Hitler in his rise to power. She gradually realizes that much of what she’s been taught and told is totally untrue. 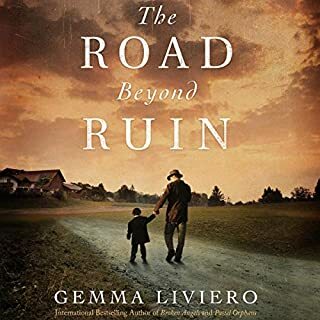 The story is told with such attention to detail that you will find it hard to believe that it’s not based on a factual account. I loved the story line, and the characters. However, the first couple of minutes, it was hard to get used to narrator’s German accent but once you get used to it, you don’t notice it. Highly recommend. This story captured my attention and held it throughout each chapter. The storyline, characters and narration are all excellent. I'm looking forward to starting the next book. wow! one of the best stories of preWW2 Germany. fabulous background of the Nazi party, Hitler, and the climate surrounding the beginning of the "final solution"
I haven't enjoyed a book in a while but this one kept me on my toes the whole time. I read/listened to it in only two days. 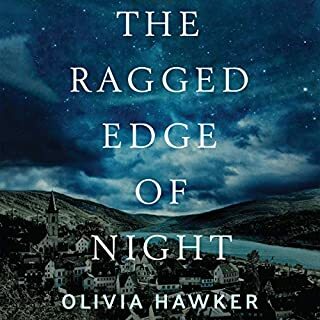 The narration is really excellent as well, it made reading the book even more amazing. I loved this novel! It offered such a fresh perspective on history and it is about a time not very much written about in fiction. I loved every piece of it. The narration was excellent. The German accent was perfect to bring the story alive, and every character was very distinctive from each other. It was so easy to tell them apart. 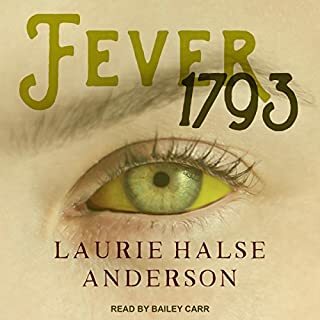 Seriously great narration. Prisoner of Night and Fog imagines what it would be like to grown up under the protection of Adolf Hitler. Gretchen Muller lives in 1930 Munich. Her father became friends with Hitler during the Great War and then died to save Hitler's life during a National Socialist Party demonstration. Uncle Dolf, as Gretchen calls him, has been like a second father to her. However, Gretchen is now nearing adulthood. She is capable of thinking for herself and begins to realize that under the party doctrine she will never be treated as an adult. Gretchen then meets a Jewish reporter, Daniel Cohen. Together they start investigating her father's death. What they find will change everything. I didn't like Anne Blankman's book as much as I thought I would. I think the reason why was because it features a set-up we see so often in young adult novels: Girl meets handsome boy and handsome boy changes her perspective on the world. Along the way they fall in love. It's not that I don't like Daniel or that I think this set-up is unrealistic (even if maybe it is, a little). It's that I have seen this set-up time and time again. Wouldn't it have been wonderful if Gretchen had started wondering about her father's death on her own and then had sought out Daniel herself? Still, the insider perspective into the early years of the National Socialist Party was certainly intriguing. I'm going to read the sequel and see what happens next. Would you try another book from Anne Blankman and/or Heather Wilds? No, after the mess this book turned out to be I don't think I would. 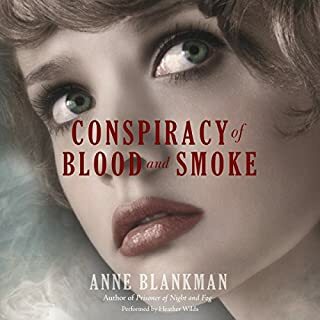 What could Anne Blankman have done to make this a more enjoyable book for you? Have a less whiny protagonist. The other characters are pleasant enough, but Gretchen killed my buzz every time she opened her mouth (which was 90% of the time). She's not only stupid and suborn, but also arrogant and judgmental. I'm not sure if the other characters were indeed pleasant or were just pleasant in comparison to her. What three words best describe Heather Wilds’s performance? Interesting, soft, nice. Her performance was ok, but the story made it hard for me to appreciate it :( . 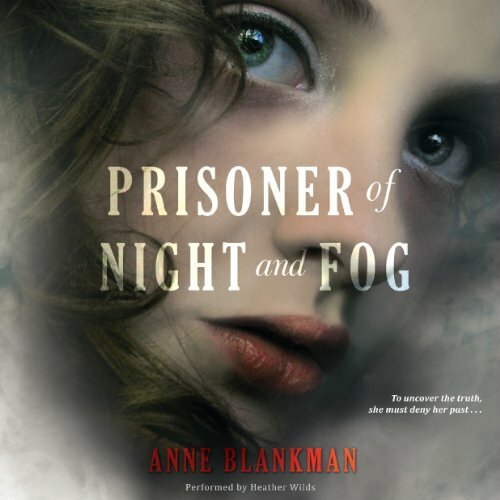 What character would you cut from Prisoner of Night and Fog?